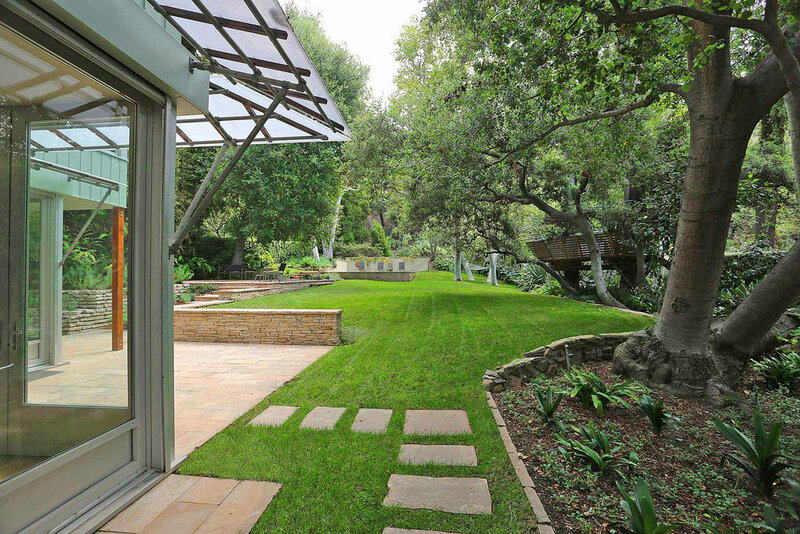 This project consists of a full renovation of an unremarkable 50s ranch-style ranch house and a substantial addition that dramatically opened up the existing low-slung house to the verdant hillside and abundant tree cover of the 1+ acre canyon lot. 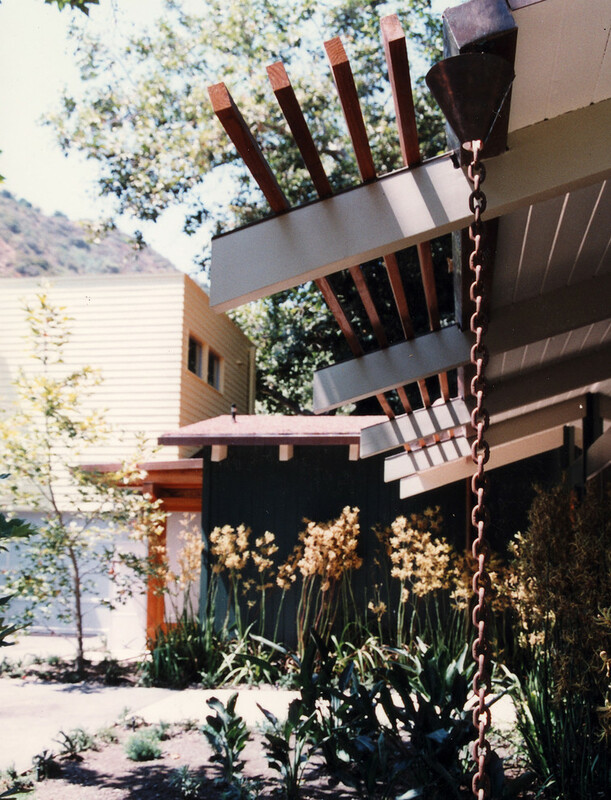 The wide-brimmed canopy of the original house was inverted in the 2 -story addition at the rear to create a dramatic aerie for the kids' with the stairs to this elevated perch connecting strongly to the Sycamore trees under which the new structure is settled. 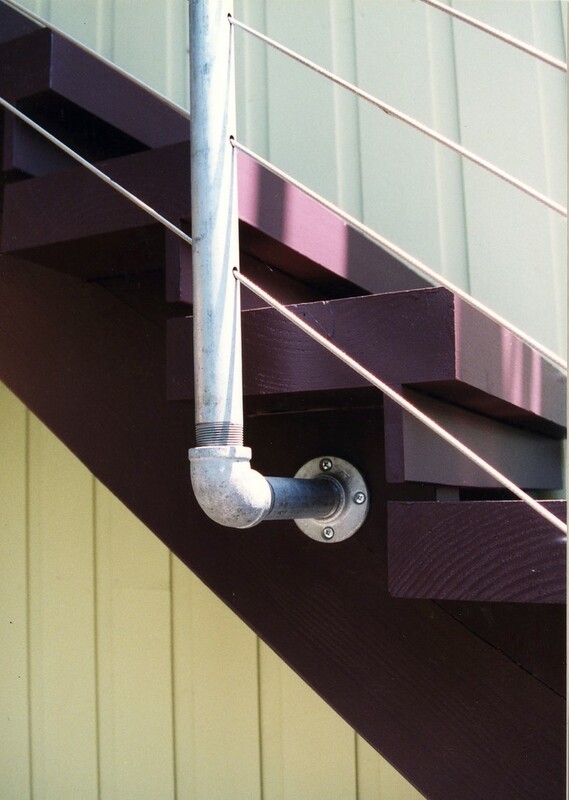 The use of ordinary but robust materials such as galvanized pipe, polycarbonate sheeting, 'flakeboard', exposed concrete floors, and cement siding along with occasional flashes of tactile luxury ties neatly into the "case study" houses and 50s post and beam morphology when the original house was conceived. The colors of the house were all derived from natural elements of the site with the grey and green of the main addition reflecting the bark of the Sycamore and the orange of the stair tower seen in the flower of the native Grevillea tree.